The X-RACER series composes of a range of useful handheld transmission units designed for the broadcast environment. Each module integrates its own mains power supply and is available with optional standard SMPTE connector. 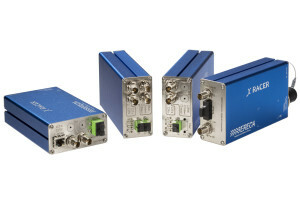 Bidirectionnal 3G / HD / SD + 100 Mb/s Ethernet over 2 optical fibers with SC/APC connectors. Bidirectionnal 3G / HD / SD over 1 fiber with SC/APC connector. Bidirectionnal MADI media converter over 2 optical fibers with SC/PC connector. Each module is fitted with signal presence LED and alarms LED to ease on field troubleshooting. The aluminium case offers a thermal operating range of -20°C to +60°C. Each 3G / HD / SD optical receiver performs reclocking on the received signal, each transmitter has a built in cable equalizer. Ethernet transmission is fitted around a built in Ethernet switch allowing different network settings at each end of the transmission and performs automatic crossover for straight or crossed cables. The size of the cabinet 42*86*150mm offer the possibility to install it horizontally on a 1RU tray or vertically on a 2RU tray. 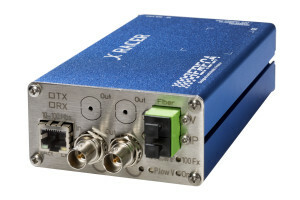 Depending model, numerous options are available such as multiple SDI outputs per module, low voltage redundant power supply input on XLR4 or SMPTE cable Neutrik / LEMO connector instead of the SC type. 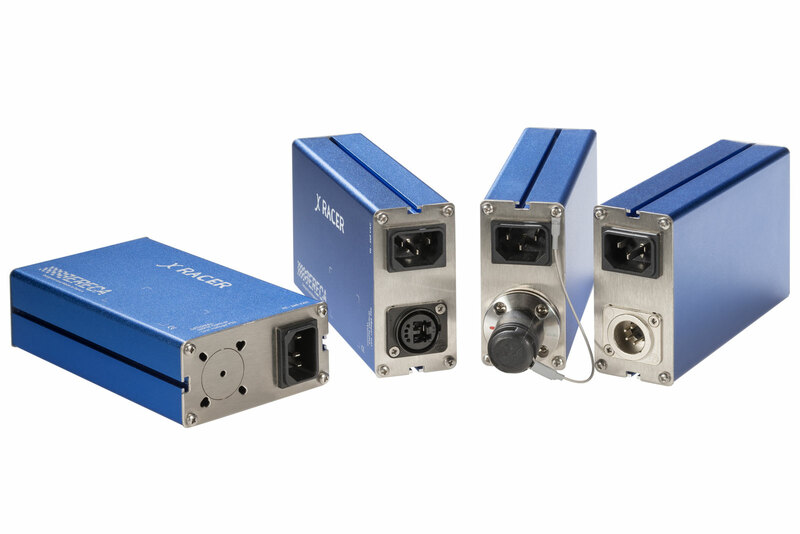 Dynamic range: 15dB as a standard, ask for availability of powerfull laser sources. Connector: SC/APC in standard ( MADI is standard in SC/PC), LEMO / Neutrik. Alarms 1 LED per technical alarm (Power supply / Fiber alarm / Link loss ).